Australia has become the latest country to see mass protests from its taxi drivers calling for ride-sharing service Uber to either face the same regulations they do or be banned outright. Around 400 drivers rallied on the steps of Victoria's state parliament in Melbourne on Thursday demanding the government crack down on Uber, which they say is an illegal, unregulated service. The protest came at the same time as a four hour strike by tram drivers over a perceived pay dispute. "Enough is enough. We will start striking for 24 hours from next week," Victorian Taxi Families spokesman David Singh said in Melbourne. The strikes are planned in Victoria, Queensland, Western Australia and New South Wales, with other states also considering action. Taxi driver Andy Horn told the crowd the Government should be ashamed of itself over its attitude towards Uber. "Ladies and gentlemen, you are out there slogging your ***** off, 12 hours a day and more, and there's a love affair with this company called Uber — an illegal operation that's called ride sharing [that is] nothing but a taxi service by another name," he said. "You are $200 a day behind when you go to work, competing with these animals." 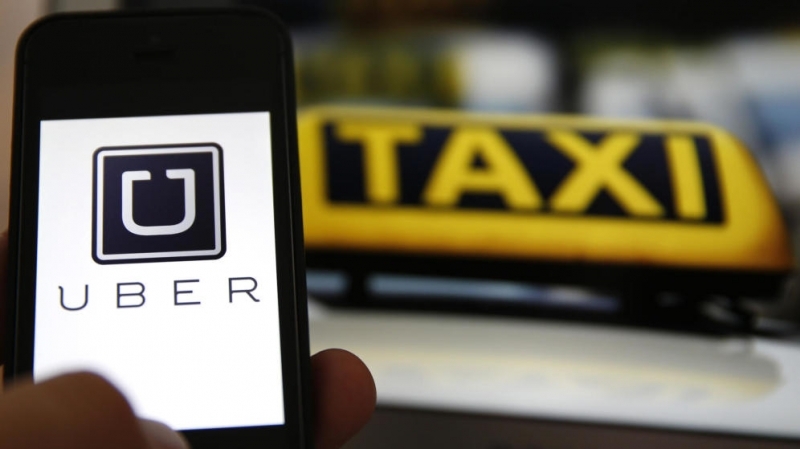 Australian cabbies want Uber to either pay the same license and registration fees they do or be shut down altogether. Until a resolution regarding Uber is reached, taxi firms have said the widespread strikes will continue across the country. There was another anti-Uber demonstration on Thursday in Sydney outside the New South Wales parliament. If Twitter comments are anything to go by, it seems the taxi drivers aren’t gaining as much support from the general public as they expected. Many claim Uber provides a better, cheaper service than the majority of Melbourne taxis. The company is further appealing to travellers by offering free rides to anyone who takes their first journey with Uber between September 10th and September 17th. A spokesperson for Uber told Mashable Australia "sensible, safety-based ride-sharing regulation" was required. "We understand that new technology is disruptive but we believe there is a way forward that provides new economic opportunities for all drivers, including taxi drivers, and choice for riders who love the convenience of services like Uber," she said in a statement. This is not the first time taxi drivers from across the world have made their feelings known toward Uber; cabbies in Toronto filed a class action lawsuit against the company for “creating an enormous marketplace for illegal transportation" recently, and anti-Uber protests in Paris several months ago turned violent when cars were set alight and Uber drivers attacked.